Dear Friends, we are inviting you to enjoy the delicious wines of Barolo (Piedmont) with us accompanied by four courses crafted by our executive Chef Daniele Piazza. Barolo is a red Denominazione di Origine Controllata e Garantita (DOCG) wine produced in the northern Italian region of Piedmont. It is made from the Nebbiolo grape and is often described as one of Italy’s greatest wines. The color is bright red with orange highlights. Elegant and full bouquet, with floral notes and wild fruits. Velvety in the mouth. Rich in structure to last long over the years. 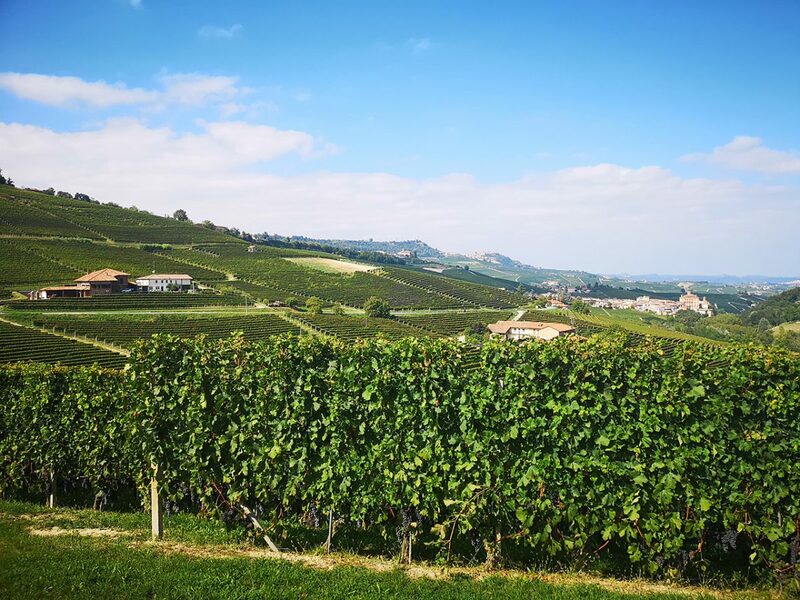 In the heart of the Langhe hills, a very few kilometers south of the city of Alba, in the territory of Laa Morra, is located in the Vineyard named La Serra. Southwest exposure. The territory belongs to the geological formation called” terreno tortoriano”, with calcareous marl and clay. In October, during the first twenty days, the grapes are rigorously picked by hand. The fermentation, with the traditional method, has a duration of 10 to 15 days, have a controlled temperature. The pumping over is frequent in order to optimize the extraction of polyphenols. This wine is the right match with roasted red meats, stews, game, truffle dishes, aged cheese. It is the essential ingredient for the preparation of the so-called “Brasato al Barolo” (meat braised in Barolo) typical recipe of the Piedmontese cuisine. nextSan Diego Union Tribune calls it the "Best Pie in San Diego"